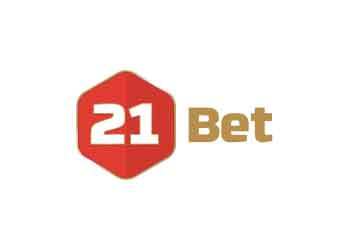 All new customers at 21Bet can claim the 21Bet Casino Bonus. If you do then you’re in for a real treat; you can claim up to 100 free spins with no wagering requirements. 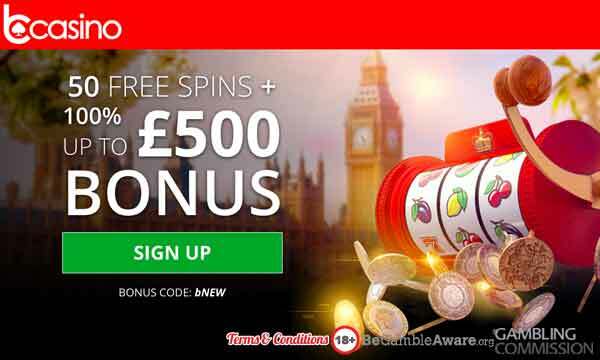 To claim your free spins you must play through £10 on qualifying games. 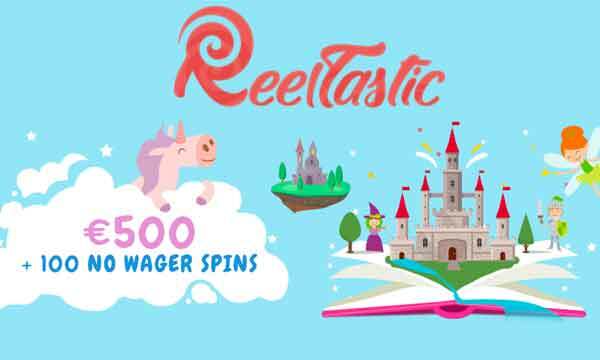 Once you have done this, 10 free spins will be added to your account automatically. Whatever, you win will be added to your real money cash account because there is no wagering on winnings. The minimum deposit and play through requirement to activate this bonus is £10. There is no wagering and no maximum win attached to the 21Bet Casino Bonus. If you are loyal, play frequently and responsibly, you may be lucky enough to be invited to the 21 Club. This elite club is for the VIPs at 21Bet. Whether you like playing slots or live casino games you will be considered for the Casino VIP programme. If you’re invited you can expect great tailored bonuses with high buy ins and low wagering. All of this will be presented to you by your dedicated, personal account manager. There’s an impressive range of slots, jackpots, scratch cards, casino games and live dealer games at 21Bet. The variety is fantastic. Head to the live casino and you can enjoy playing poker, roulette, blackjack, baccarat and dream catcher with real live dealers. 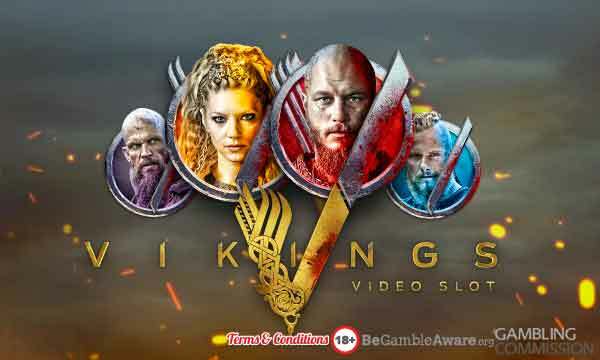 Or if slots is more your thing, you can play the most popular titles from the likes of NetEnt, Microgaming, Big Time Gaming, Quickspin, Blueprint, NYX and many more. 21Bet is also popular for it sports book and virtual sports betting. So if you like a flutter on the horses or a punt on the football then you should definitely check this place out. At Casino Bonus Checker we love 21Bet. They really seem to know what online casino players and online gamblers are looking for. They have a superb range of casino games, slots and sports betting options. We pretty sure you won’t ever get bored here and will enjoy your time here in looking for that big win. The site is really well designed. It’s sleek, easy on the eye and simple to find your way around, which is sometimes difficult to achieve when you have so many playing options. 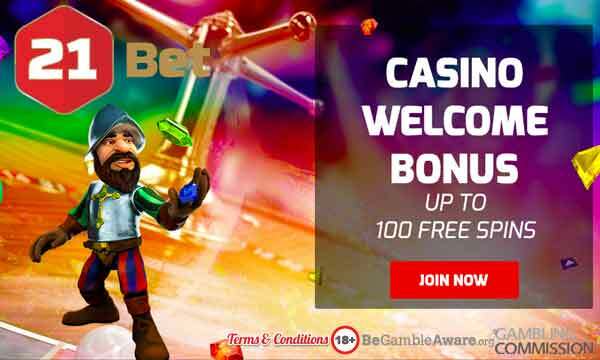 All new casino players are in for a treat with the 21Bet Casino Bonus. You can claim up to 100 wager free spins on 5 of the most popular slots titles. These free spins can be claimed just by playing as you normally would. Each time you wager £10 on one of the selected slot games, you will instantly be awarded 10 wager free spins. This is exactly the sort of welcome bonus we like! 21Bet is regulated by the UKGC and they have good levels of support for their players. You can speak with a member of the help team 24 hours a day via the online chat facility or email. 21Bet accepts secure payments via. Visa, Mastercard, Maestro, Skrill and Neteller.